Description: Brand new in the box, ready to ship. Buy it now! Accuracy and dependability right out of the box. Made in America. The choice of America’s best shooters. Kimber is the most popular 1911 pistol in the world and Kimber quality is unequaled by any other manufacturer. Virtually every critical component of every pistol is manufactured inside the Kimber factory. The finest raw materials come through the front gate and Kimber does the rest, the only way to ensure that every part meets unequaled standards. 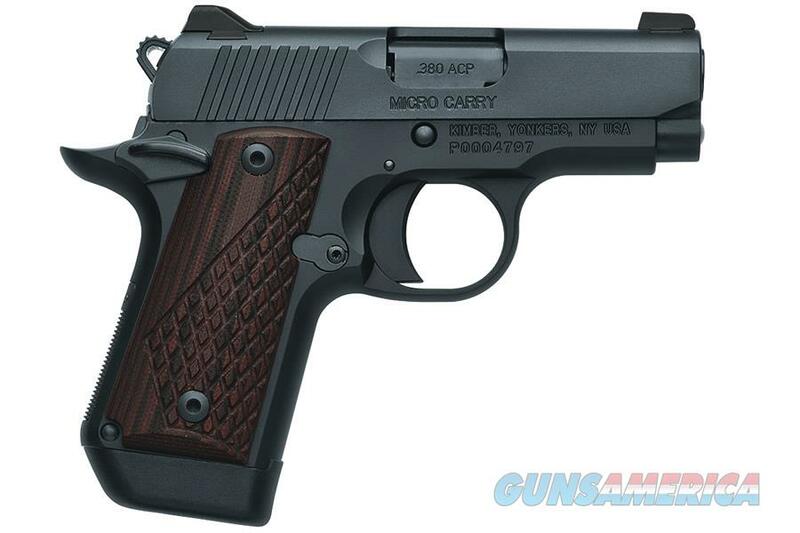 This Kimber Micro DC (Deep Cover) is a great compact .380 ACP. It offers all of the American manufacturing, accuracy and reliability that you have come to love from Kimber. This Micro features a full-length guide rod, ambidextrous thumb safety and a solid Aluminum match grade trigger factory set at 7.0 lbs. The Micro line is the perfect gun for carry and conceal with an overall length of 5.6 inches and weighing less than 14oz.